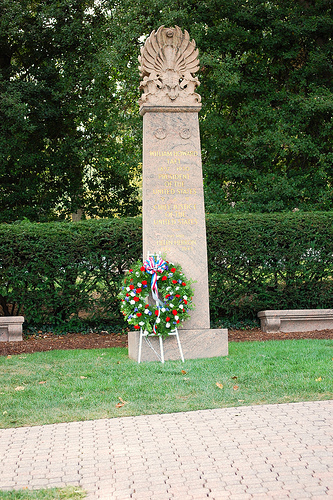 See him: President Taft is buried at Arlington National Cemetery. So is John F. Kennedy, and unfortunately for Mr. Taft his younger, more handsome predecessor gets all the attention (and directional signage) even though he didn’t have an awesome mustache like WHT did. Nonetheless, you can find the 27th president’s grave most easily after walking through the very impressive Women in Military Service for America Memorial; there are signs on the road that will lead you to the grave.